Transportation from Bangkok airport was a breeze. There were plenty of cabs waiting outside the arrival terminal. As expected, most of taxi drivers cannot communicate in English but the language barrier did not pose any problem. We used the services of the taxi booth, just outside the arrival terminal, which translated our destination and hotel name in Thai in a piece of paper. It took us 45 minutes to reach our hotel Urbana Langsuan from Bangkok airport. We experienced few traffic areas but quite bearable considering that the aircon inside the cab was in full blast. Total taxi fare from Bangkok Airport to Urbana Langsuan costed us 350 Baht (~USD 11). This includes the 225 Baht (~USD 7 ) taxi meter, 75 Baht (~USD 2.50) for toll fees and 50 Baht (~USD 1.50) for taxi surcharge coming from Bangkok Airport. We booked a studio room with breakfast for ~USD110 for three people. Being a condotel, the studio room in Urbana Langsuan is spacious not less than 40 sqm in size. There is a kitchenette with hot plate, sink, complete cooking utensils, spoons, forks and chinaware. There is also a microwave and full size refrigerator where you can find complimentary bottled water daily. Bathroom is of good size with rain shower instead of a bathtub. [2014 Update: In our second stay in this property last 2012, we found the bathroom to show some signs of age with some paint chipping off, but still reasonably clean.] The only downside is that the room does not come with free wifi. A two-seater sofa with coffee table and plasma TV splits the kitchenette area with the king size bed. You can also find a stereo with DVD player, a working table, a make-up table, a small dining table for two, closets, umbrella which you can use rain or shine, and a safety box. The room is modern, bright and spacious with a good view of Bangkok city skyline. If you want to relax, you can go to the 33rd floor to swim or get a good tan. City view from here is fantastic day or night. I give Urbana Langsuan 4 out 5 stars in terms of its location. Urbana Langsuan sits in the middle of Langsuan road, an up-market area mostly dotted with service residences and upscale residential condos. Langsuan is a long street between Ploenchit and Lumpini Park, a well-lighted street which you will not be afraid to walk at night. Convenience stores and Thai massage parlors can be reached within 5 minute walk from the hotel. Chitlom BTS train station can be reached within 10-15 minutes pleasant walk. During lazy days and if we’re lucky to catch the hotel’s tuk tuk in the lobby, we’re able to ride the hotel’s tuk tuk heading to Chitlom BTS station for free. It was a nice experience to cross out tuk tuk ride from our travel bucket list without the hassle of haggling the fare with other tuk tuk drivers. Cabs flow continuously outside the hotel and it’s easy to catch one if you want to go somewhere farther. From Urbana Langsuan hotel, cab fare to Siam Paragon is just 50 Baht (~USD 1.50), to Sathorn/Central Pier for only 80 Baht (~USD 2.50) and to Grand Palace area for less than 100 Baht (~USD 3) with minimal traffic. 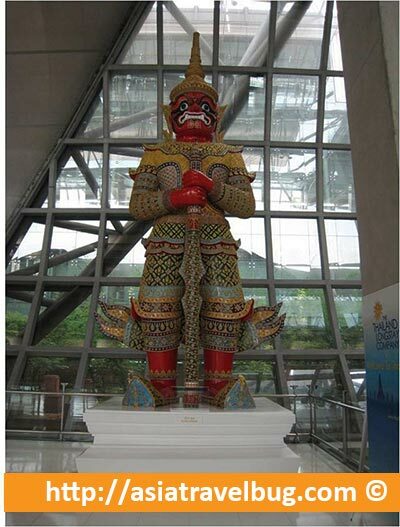 Actually, Siam Paragon can be reached via the elevated walkway in Chitlom in 20-30 minutes pleasant walk. After we settled in our room in Urbana Langsuan, we called up Yok Yor Marina Restaurant to book dinner cruise at Chao Phraya River. Advance booking is a must because the cruise restaurant quickly fills up with Thai locals. Apparently, Yok Yor is the cheapest dinner cruise in Chao Phraya River. While others are charging to at least 1,200 Baht (~USD 37) for a buffet dinner cruise, Yok Yor only charges 160 Baht (~USD 5) boat fee with ala carte dishes starting at 100 Baht (~USD 3). The Yok Yor reservation staff instructed us to go to Central Pier (also known as Sathorn Pier) at around 6:00pm where complimentary Yok Yor water boats shuttle customers to the restaurant every 15-20 minutes. We were informed that this service will only be available from 6:00pm to 7:00pm. We arrived at Central Pier one hour ahead of schedule so we gazed at the local ferries and watched the grand ferries of 5 star river hotels in envy. Central Pier is just a few minutes walk from BTS Saphan Thaksin station. Finally at 6:15pm, the Yok Yor water bus arrived and brought us to Yok Yor Marina Restaurant where the cruise shop was docked. The cruise ship was quite old and with restaurant tables already showing some signs of age. Nevertheless, the food is extremely affordable with some exotic variants. Looking to alligator meat? You can order it in the Yok Yor cruise. The Yok Yor cruise plied the same route as the other luxury cruises. We enjoyed watching Grand Palace and other temples well lit up and glittering in gold at night. The cruise ship docked at Yok Yor Marina Restaurant at the end of the 2-hour journey and we were taken back to Central Pier by their complimentary water bus. Hi there! You have a very informative blog and it was really helpful. I would like to ask if you happen to know how I can go back from the Tha Tien pier to Saphan Taksin (central pier)? We will be in Bangkok from Aug. 16-21. I hope you can help me out here. Thank you very much! I am surprised to see that you guys walk so slow. i have been living at Fraser Place which is also just next to the Centre point and it takes me 5 mins to walk to BTS. And the walk is decent considering you always need something from 7-11. I found your blog very informative and well explained. If I remember it correctly, Bliston Suan is two parallel roads away from Langsuan. We just drive past thru this hotel so Im not exactly sure how long will it take if you walk from here to BTS. But probably 10-15 minutes walk too, definetely not right next to BTS. Why don’t you try Centre Point Wireless Road? It is right along Ploen Chit main road and about 5 minutes walk to Ploen Chit BTS. I was trying to book this hotel before but unfortunately it was already fully booked last March. Wow, 15 mins is way too long a walk to the BTS :). What about Bliston Suwan – it is at Soi Tonson. Do you have any idea if that is closer to the BTS, or any other apmts which are like, right next to the BTS? I know I can search the web but sometimes they are a bit misleading. Thanks for dropping by my blog. 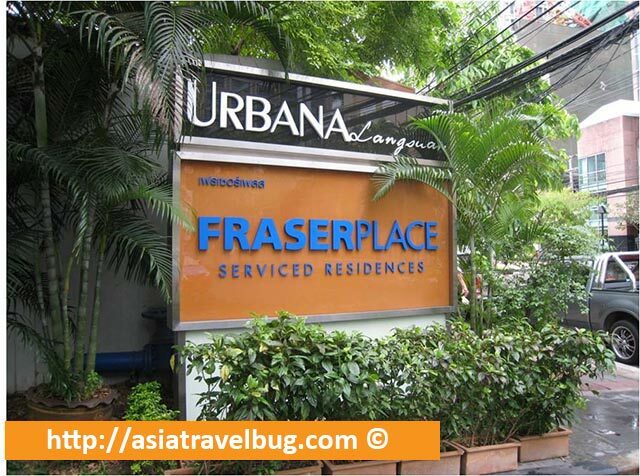 Centre Point Langsuan is just beside Fraser Place and is approximately 15 minutes walk to BTS Chitlom station. I just came across your blog and it is so informative. I definitely will try the Yok Yor dinner cruise. Will be going to Bkk in June. BTW, I am trying to figure out how near is Centre Point Langsuan to the Chidlom BTS. It is quite hard to tell from the maps. Is Centrepoint Langsuan as far down the road as Fraser?